Long Names in Landtech now print on the HUD! 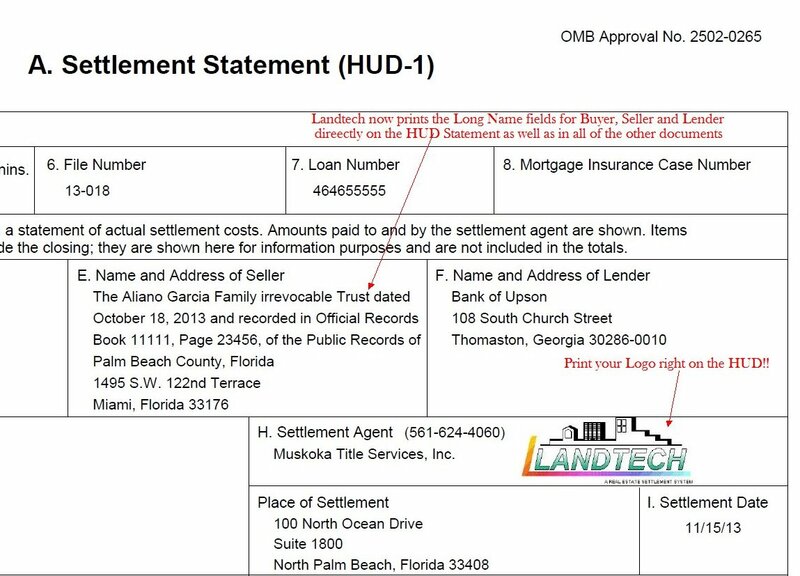 Landtech added a terrific new feature for Entity Buyers, Seller and Lenders that have lengthy names. These entities are usually Estates, Corporations, Trusts and the like. 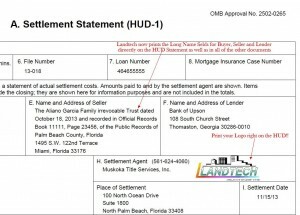 Landtech has long had the ability to merge Buyer, Seller and Lender Long Names into the documents, but until now, not on the first page of the Closing Statement due to space restrictions. No more! Now, Buyer, Seller and/or Lender Long Names will also print on page one in their entirety! Click on the example to the left to see what you can do to make your Closing Statements sing. Works in the Cloud and on the ground! Contact us for more.